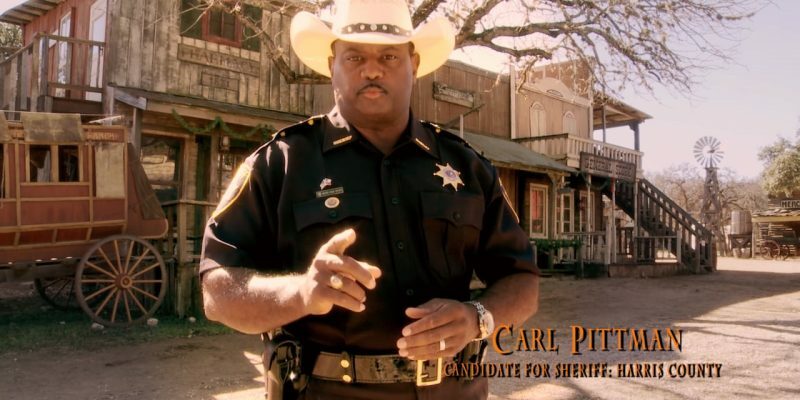 (Harris County, Texas) – Marine, Sheriff Deputy, Author, and two-time candidate for Harris County Sheriff Carl Pittman, 55, passed away this week due to a health complication. Carl’s wife Kristi posted the sad news on Facebook late Tuesday evening. Fort Bend County Precinct 3 Constable Wayne Thompson says Carl spent his final moments with him at his side. A Native Texan and passionate conservative, Carl became most known for his 2012 and 2016 campaigns for Sheriff of Harris County which includes the greater Houston area. While ultimately unsuccessful, Carl gained a large following and inspired many including the author of this article. At a rally in support of then-senate candidate Ted Cruz, Carl Pittman spent at least an hour answering this young conservative’s questions. He came off as sincere, intelligent, and kind with a passion for helping others. It worked and I cast my vote for him in the next election and again in 2016. 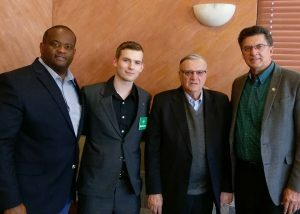 Carl is the author of the book The Personal Journey of a Black Common Sense Conservative which is available on Amazon. Visitation for Carl will be held on Sunday, March 24, 2019 from 1:00 p.m. to 3:00 p.m. followed immediately by a short service at Schmidt Funeral Home, 1344 West Grand Parkway South, Katy, TX 77494. In lieu of flowers, donations can be made in Carl’s name to the Wounded Warriors Project. Carl leaves behind his wife Kristi, his children Justin and Noe, and grandchildren Brennan, Saria and Malakai. Carl is reunited in Heaven with his beloved mother, Mattie Pittman, his father Fredrick Douglas Davis and siblings Mary, Helen and Keith.